In our Provo Chiropractic office, we can often accept new patients on the same day. If you would like to try to come in today, please call us at (801) 400-6365. It was a wonderful blessing to be able to practice chiropractic in Singapore's first Chiropractic clinic with such beautiful people. 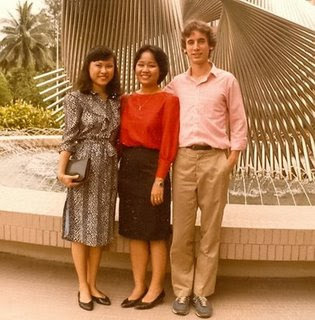 This is a photo with my co-workers back in 1983.